A little girl’s American dream is about to come true in northern Virginia: doll retailer American Girl is celebrating its grand opening at the Tysons Corner Center this weekend. 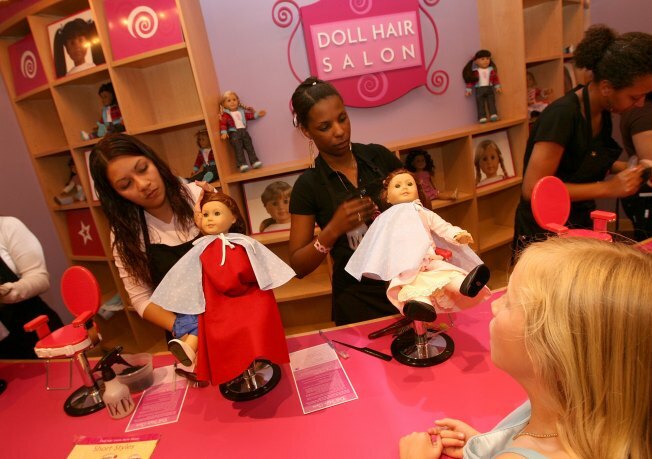 The store comes complete with a doll hair salon and bistro. The dolls run about $100 each, and come complete with a story of the "American Experience." The store carries outfits, accessories, and furniture to make each doll's world complete. The American Girl franchise has a loyal following: fans that lined up Saturday morning for the grand opening tweeted that over a hundred girls and their parents were at Tysons waiting for the doors to open. The grand-opening celebration features crafts, doll drawings, and much more.